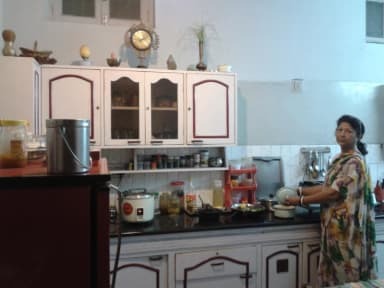 Nain's Kunj A Traveller's Home ,was started way back in 1995. This home's name is dedicated to my mother-in-law(mother) Lt. Rani Nain Kanwar Ji. As the name signifies Nain means 'Eyes' so we believe its due to her blessings through her watchful eyes our family could run this homestay / bed and breakfast well over the years. Hostess Rashmi Singh ,alongwtih her husband Manohar Singh and family's co-operations had caterd and still doing so to all needs of their home stay guests. 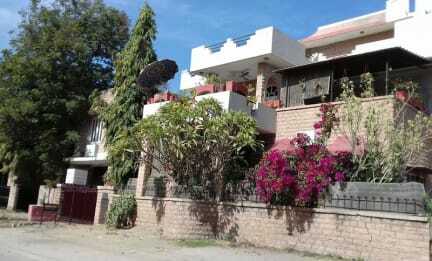 stay at reasonable expense, alongwith a local Rathore Rajput Family of Jodhpur.